[There is a] curious relationship between a candidate and the reporters who cover him. It can be affected by small things like a competent press staff, enough seats, sandwiches, and briefings and the ability to understand deadlines. Orient your security and facilities teams to reporters' needs in a crisis. Beyond seats and sandwiches, consider ways to ease access to a crisis; whether they'll camp out onsite; and how you can offer them online and technical access. Aim for equal access for staff and reporters as a starting point, rather than viewing them as outsiders. Plan for frequent updates for reporters in a crisis, news or no news. One of the major complaints we hear from reporters covering shootings, natural disasters and other crises is that they get no updates--even updates to say "we have nothing for you yet." 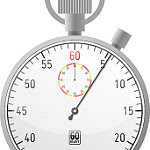 Aim for updates every 15 minutes if you have an assembled press corps, even if it's to say "no news," and give them a 15- or 30-minute heads-up when you expect a major statement or press conference, to allow for planning. Scout a variety of locations for a variety of situations. I like to think I can run a press room with my purse and a cellphone, but consider a range of crises and where you'll situate reporters who need to work onsite with more than that. Don't assume all your options will be open if a natural disaster strikes and puts rooms and floors out of commission. Consider remote locations, too. I work with clients to strategize reporter needs in crisis settings--and offer team trainings that bring your entire leadership into the picture, so they, too, are ready for the spotlight a crisis brings. Contact me at info@dontgetcaught.biz for more information.